The Cadillac SRX4 Luxury Collection's pristine good looks were combined with the Cadillac high standard of excellence in order to make this a unique find. Savor the satisfaction of safety in any condition with this AWD Cadillac SRX4. Superior acceleration, unmatched traction and stability as well as a luxurious interior round out the impressive features of this AWD Cadillac SRX4. The incredibly low mileage and painstaking upkeep on this Cadillac SRX4 makes it a once-in-a-lifetime deal that won't last long! Call us today to reserve your test drive! Added comfort with contemporary style is the leather interior to heighten the quality and craftsmanship for the Cadillac SRX4 This Cadillac SRX4 Luxury Collection is in great condition both inside and out. No abnormal "wear and tear". 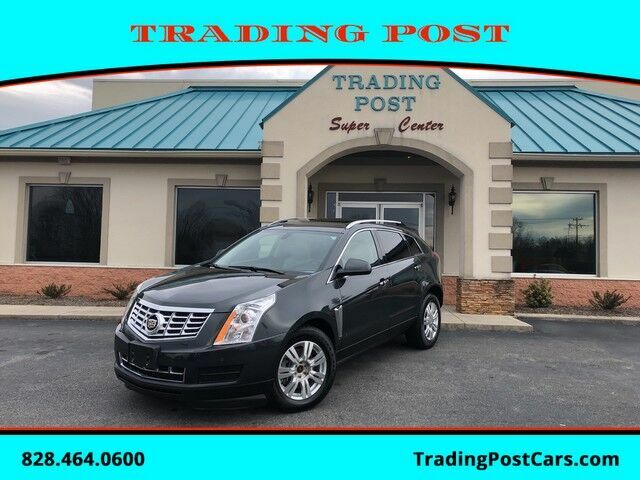 This 2014 Cadillac SRX4 Luxury Collection is not like every other automobile. The Cadillac was equipped with many of the added features that make this vehicle such a unique automobile to own and drive. Must see this one!! Give our sales team a call at 888-805-8558 or check us out on the web at www.tradingpostcars.com for more pictures and a live video of this car. Family-owned and operated for over 38 years with an A+ rating with the BBB! We would love for you to come be a part of our family!